At WHIN, students experience math through a lens of fun, exciting discovery. Math units are not taught in isolation, but rather multiple skills and standards are interwoven to create rich tasks and scenarios for learners, and standards are revisited throughout the year to ensure student mastery. Deep conceptual understanding is reached through concrete and hands-on experience. We are using Bridges, a highly-regarded constructivist elementary math curriculum, as our cornerstone program, which will be supplemented with additional intervention and extension materials. This time is dedicated to activities often classified as “calendar math,” although Number Corner is a much richer program then traditional calendar math. 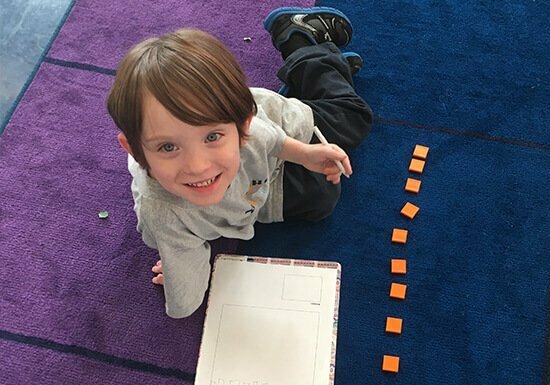 Students begin building classroom number lines in K and 1st, keep track of the days in school through multiple visual models and equations, discover patterns through engaging Calendar pieces, and create classroom collections that change and stretch students’ thinking each month. The goal of this time is to reinforce key mathematical understandings about number, place value, and our counting system during this time. these math centers are opportunities for students to apply their learning and discoveries and develop quickness and comfort with mathematical concepts. Workplaces are student-led centers where students practice working productively and kindly with others and teachers are available to support learners with additional instruction during this time as well as extend those students who have mastered material already. During these sessions, students become expert problem solvers, developing increasingly efficient and sophisticated strategies in particular through noticing the strategies of peers. Number Talks specifically develops mental math models for learners while also encouraging active listening and clear speaking skills. These drive learning objectives for the day. A game, scenario, or problem is presented to students and through discussion, mathematical modeling, and patterns new understandings are uncovered. Through skillful questioning, teachers are able to guide students to notice and wonder about numbers, shapes, and measurement. Assessments are used to analyze how students’ mathematical understandings and skills are developing. Students who are struggling to meet grade level standards receive additional support in the form of small group instruction and possibly Tier 2 or Tier 3 intervention as well. WHIN students are regularly assessed to ensure learning is progressing and developing and to target students for early intervention when needed. Benchmark assessments are administered four times per year (approximately once per quarter) to determine student numeracy skills; WHIN is adopting Assessing Math Concepts (AMC) as the tool to support this work in the lower elementary grades. AMC is a performance-based assessment where students demonstrate understanding by modeling and explaining their thinking in response to different prompts. AMC provides valuable insight regarding grade level trends, classroom trends, and also individual student needs. Bridges includes at least two summative assessments per unit; the first is a shorter check in to see how students are progressing towards unit goals and the second is a cumulative assessment highlighting the most salient concepts from the previous unit. If groups of students are failing to achieve mastery on summative assessments, reteaching of concepts in a new way may be required. Each day, teachers take observational data about student problem solving and math skills on checklists that correlate to the skills being developed in a given lesson or module. Teachers also select specific work samples to analyze more closely with their grade team and DCI. 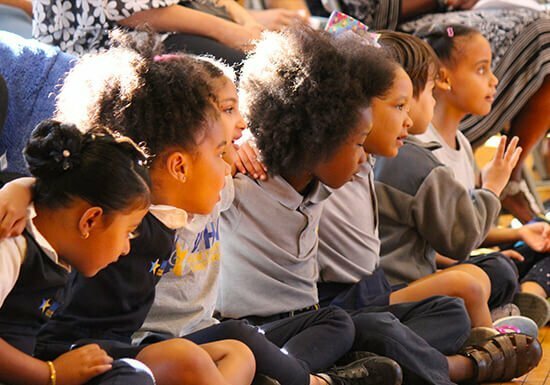 Based on these analyses and observations, instruction is adjusted to meet student need, including potentially creating opportunities for Tier 2 or Tier 3 intervention for those students in need of additional support or modification, as well as creating extension activities to enrich and deepen student understanding. These 8 standards, which carry forward for a student’s entire mathematical career (and beyond!) are woven into lessons and units constantly. Often a lesson highlights two or three standards for students to master at their grade level; these are built into the culture of inquiry and problem solving at WHIN and constantly cultivated in our curious young learners.